In loving memory of Sue Tate: Christian, mother, friend, elder and clerk of session. Funeral and/or Memorial Services or Celebrations of Life are always very emotional and difficult times for those experiencing the passing of a loved one and the Minister and staff of Unionville Community Church work together to organize and prepare for these events to ensure everything runs smoothly and in accordance with the wishes of the family. 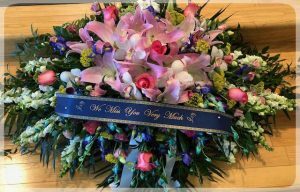 Our Minister ordinarily works with family and loved ones to set a date for the funeral or memorial service, and helps coordinate communication with the funeral director and the family to plan the service. Funeral and Memorial services may take place either at UPC or in the chapel at a funeral home.